The NovoTTF may bring some hope to patients diagnosed with an aggressive form of brain cancer. Getting a diagnosis of brain cancer would rank high on anybody’s list of biggest fears. 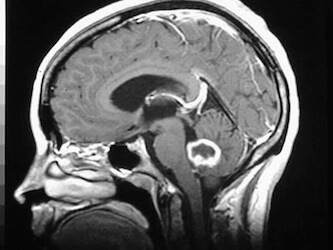 For the approximately 22,000 people who receive that diagnosis annually, none are as unfortunate as those who have glioblastoma multiforme (GBM), the most common and most aggressive form of brain tumor. If GBM sounds familiar it may be due to the extensive media coverage it received when the late Senator Ted Kennedy was diagnosed with it in 2008 before eventually succumbing to the disease in 2009. 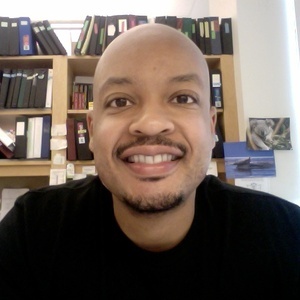 His relatively quick decline in health is common with glioblastomas as even the most aggressive courses of therapy rarely lead to survival past 12-14 months after diagnosis. Recently, a new weapon against this devastating disease was approved by the Food and Drug Administration (FDA). A company called Novocure has developed a device they call the NovoTTF. It generates an alternating electric field via a cap worn on the scalp and clinical testing has found it to be at least as effective as the best chemotherapeutic agents. See it in action in the video below. Are better therapies just around the corner? If you want to talk about a cancer that is a virtual death sentence, you don’t need to look any further than glioblastoma multiforme. Since 2000, the 5-year survival rate for the youngest patients (0-39 years of age) has been approximately 20%. When looking at survival rates for those over 40, that number drops to about 5%, clearly demonstrating the need for new and more effective therapeutics. The current standard of treatment for glioblastoma starts with surgery to remove as much of the tumor as possible followed by several rounds of radiation and chemotherapy to kill any remaining cancer cells. However, chemotherapy is often accompanied by debilitating side effects. This is why the news of the NovoTTF obtaining FDA approval has been met with considerable excitement. The NovoTTF (TTF stands for tumor treating fields) is unlike any other treatment currently available for brain tumors. It’s essentially a battery pack that a patient can carry around. 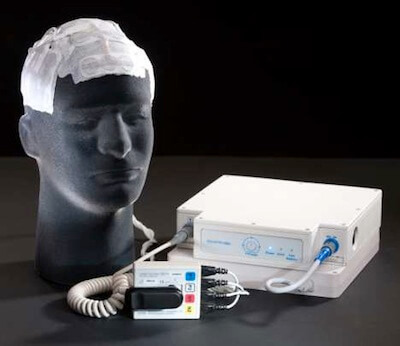 The device weighs about 6 pounds and it powers several electrodes that are attached to the patient’s shaved scalp, directly over the area of the tumor. When turned on, the NovoTTF generates a continuous low intensity, intermediate frequency electric field that affects dividing cells. Uncontrollable cell division is one of the characteristics of malignant cancers and most chemotherapeutic agents are also designed to target these cells as opposed to relatively slow growing healthy cells. An article published in the journal PNAS in 2007 details how the NovoTTF works against dividing cells. Suffice it to say that the alternating current generated by the NovoTTF disrupts the normal function of a cell’s electrically charged molecules that are important for cell division. As most normal brain cells don’t undergo constant cell division, the NovoTTF is able to leave them unharmed. What convinced the FDA to approve the NovoTTF was the data that came from a clinical trial involving 237 GBM patients that had a recurring tumor. 21% of patients treated with NovoTTF did not experience tumor progression after 6 months compared to 15% of patients given chemotherapy. While those numbers show treatment with NovoTTF having a slight advantage, the more exciting part was that patients treated with NovoTTF reported a higher quality of life. So while NovoTTF may not extend the lives of GBM patients significantly, they are at least living the last part of their lives without the many side effects of chemotherapy. This may seem trivial at first, but it’s actually quite important. It means the difference between being able to enjoy time with friends and loved ones rather than spending time in bed because of such symptoms as nausea, diarrhea, vomiting, and pain. And looking at the life expectancy of GBM patients, it becomes even more important to make the most of those last few months. The video below highlights the hopes of both the doctors and patients who are using the NovoTTF to treat GBM. Currently, the scientists at Novocure are conducting a clinical trial for patients who are undergoing treatment for the first time after diagnosis with GBM as opposed to only those experiencing tumor recurrence. Since it’s already been shown to be as effective as the best chemotherapeutic agents available for treating GBM, it will be interesting to see how treatment with NovoTTF early on may affect a patient’s long term prognosis. Also, we should see if this technology can be adapted for use against other types of cancers. Sure, NovoTTF is currently far from being a cure for GBM, but it is another addition to the arsenal of weapons available to doctors against an unforgiving enemy.